(NaturalNews) State marijuana regulations have recalled 31 batches of medical marijuana produced by Sunrise Solutions due to health concerns over pesticide use. This is Colorado's sixth recall since February. Gov. John Hickenlooper declared in November that marijuana bathed in unapproved pesticides poses a threat to public health, and ought to be destroyed. Colorado has been trying to draw up new regulations ever since a state newspaper discovered that stocked medical marijuana products contained pesticides that were not approved for farming. Last September, the state issued the first of 25 marijuana recalls. It's possible that the Federal government could step in due to public health concerns, which would stymie the legalization of cannabis in other states. Not much is known about the long-term health problems attached to eating or smoking marijuana grown with noxious pesticides. Legal experts are concerned that this void in knowledge could put a thorn in the United States' rapidly budding (forgive the pun) marijuana industry. Pesticide regulations were non-existent when marijuana was first legalized in various states. 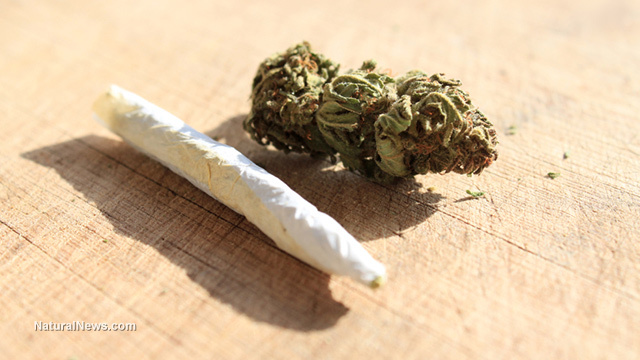 The Justice Department allowed states to set their own guidelines, but warned that they would step in if the state did not stop "the exacerbation of other adverse public health consequences associated with marijuana use," as noted in a 2013 memo. California was the first state to legalize medicinal marijuana in 1996, and it is now legal in 23 states. The way marijuana is allowed to be grown varies by state. In Oregon, Washington and Colorado, for instance, marijuana has to be grown inside. Producers started to use pesticides and insecticides on marijuana crops that were already used on other edible crops. The problem is, no long-term studies have been conducted that examine the health impact of smoking these chemicals. The federal prohibition of marijuana has prevented such research in the past. According to a 2013 study published in the Journal of Toxicology, approximately 69.5 percent of pesticide residue remained behind in smoked cannabis. Filtering the smoke through water did not significantly lower the amount of pesticide residue in the marijuana smoke. The authors of the study explained, "High pesticide exposure through cannabis smoking is a significant possibility, which may lead to further health complications." According to a report by the Cannabis Safety Institute, tests on medical marijuana in Oregon showed that when THC is concentrated, residual pesticide levels increased significantly. The report stated, "The observation that the mean level of pesticides appears to be roughly 10x higher in concentrates versus flowers is somewhat surprising, given that cannabinoids are only about 2-5x more concentrated in extracted products." Colorado didn't put pesticide restrictions in place until the state opened its first marijuana retail stores in January 2014. The state does not allow consumers to test purchased marijuana for pesticides. Pesticide testing is not required for marijuana retailers; however, retailers are allowed to have their products tested. The Environmental Protection Agency (EPA) authorizes pesticide use on crops; however, states are allowed to conduct their own testing, draw up guidelines for producers and suggest pesticides that ought to be tested by the Federal government. The EPA claims that no state has finished an application for pesticides that ought to be used to farm marijuana. "The use of unregistered pesticides on marijuana may have unknown health consequences, as no pesticides have undergone complete risk assessments for use on marijuana at this time," the EPA said in a statement. Other states, including Colorado, Washington and Oregon, have drafted lists of pesticides that they deem to be safe. Oregon has approved almost 250 pesticides to grow marijuana with. They permit pesticides used on edible crops without a set limit, and are applying the rules used to grow tobacco to marijuana crops. Washington also provided pesticide guidelines for recreational cannabis in 2014. The state does not have a different set of guidelines for medical marijuana; however, the guidelines for recreational marijuana will be applied to medical marijuana from this July. In December, Washington placed administrative holds on New Leaf Enterprises and BMF Washington, which both grow and sell marijuana products, on the grounds that unapproved pesticides for recreational production were present in the plants. The hold on New Leaf was lifted in January. Company president Boris Gorodnitsky claims that the pesticide traces came from a former medical marijuana batch. New Leaf Enterprises conducted their own investigation into the matter, and have since switched to using legal pesticides. The hold caused New Leaf to lose a lot of business, which in turn, forced the company to lay off nearly all of its staff. "We were using them when we were in medical, of course," said Gorodnitsky, "but those are very, very widely used by everyone." The Department of Health filed emergency rules related to requirements for certain marijuana products on October 5, 2015. The DOH compliant designation gave growers the choice to abide by meticulous safety guidelines, which were issued to ensure medical marijuana patients had access to safe cannabis. Labs should be prepared for DOH testing this spring; however, this testing will only cover a small fraction of marijuana on the market. The problem is that testing cannabis for pesticides increases the cost of production. This can cause medical marijuana patients to purchase cheaper weed, which has neither been tested nor deemed safe for human consumption. More recalls are likely to occur in the months to come. Although recalls can damage a company's reputation, some experts believe that these short-term hurdles are typical on the path to long-term regulation. In other words, don't expect the marijuana industry to go up in smoke anytime soon.